Have you ever had a frenemy? Like in Junior High where someone is nice to you some days and then spiteful on the rest? Maybe even a “friend” telling you to your face that you’re not pretty enough, not tough enough, and definitely not smart enough. Well, my friend, YOU are your own worst frenemy. If you grapple with feeling insecure (and hey, we all do from time to time), trust me that it’s time to leave those insecurities back in Middle School where they belong. Your insecurities stem from your limiting beliefs. I want to point out something critical here. Beliefs are not facts. They’re simply things we believe in our subconscious that we’ve accepted to be true…but they’re NOT. Limiting beliefs are the invisible walls of our cages that keep us from expressing ourselves and living our full potential. Do you have that little voice that whispers that you can’t do it? That you’re not good enough? That you’re either “not enough” of one thing or “too much” of another? I’m sure you do. Because we all have those whispers. It’s a part of being a human. It’s time, sister. Time to kick those insecurities to the curb. 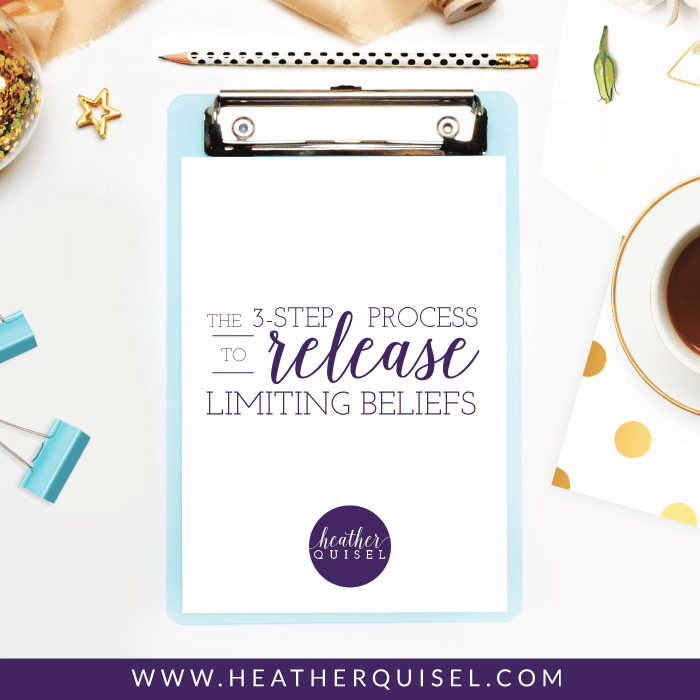 And while it may seem daunting or even impossible to reprogram 20, 30, 40 or 50 years’ worth of limiting beliefs, I want to share my simple 3-step process to trash the self trash-talk so you can step boldly into the life you really want! Your heart may have been calling you to do these things for years or maybe even your whole life. People like me can’t do ______. Anytime you hear “People like me don’t/can’t ______.” that’s a red hot clue that your subconscious is trying to limit yourself. As for me, I grew up believing that I’m just not that smart. It was a simple belief that I took with me to adulthood. I don’t have the credentials for that. I’m not an expert. I’m just a preschool teacher/stay-at-home mom. Once I started working on myself and was able to unwind those beliefs, there were more beliefs under the surface. Smart people are great at accounting and math. Smart people have intelligent conversations about movements, politicians, and the latest on the news. I’m not good at crunching numbers and I’m not dialed into sophisticated conversations about world political events. And I’m not all that smart. When I was finally ready to take big steps toward a new future, I had to dive back into these beliefs and determine if they were actually true. And in fact…they were not. I had to consider facts. And the facts indicate that I am one smart cookie. And so are you, my friend. Step 2: Figure out the origin of this belief. At what point in your life did you pick up this belief? Many beliefs come from our parents and some from our cultures. 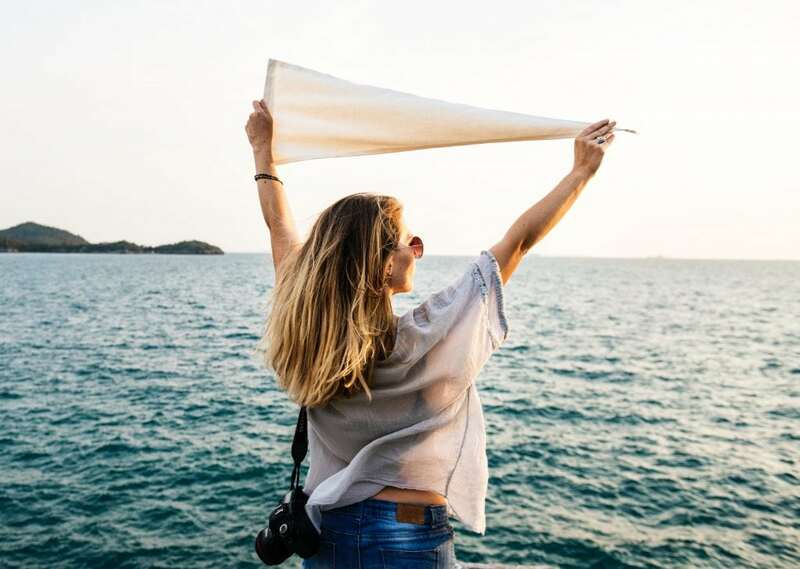 You may be shocked (as most of my clients are) at where we actually adopted these unhelpful beliefs about what we can and can’t do in our lives. Step 3: Ask yourself, is it true? Beliefs are not true. They are beliefs. Doesn’t mean they are true. They may feel true. They may feel real. But they are manufactured by the mind and often a very young mind that is not trained to be objective or critically think. Examine the evidence. I did say this was simple, but I didn’t say it was easy. When we unpack our beliefs, like unpacking old boxes from our childhoods, sometimes we come across unpleasant memories and emotional pain. That’s okay and it’s part of the process of growing. Acknowledge that limiting belief, thank it for its service, and let it go. You will begin to choose what you believe rather than operate on a default mode of limiting beliefs that were handed to you in your childhood. With your new knowledge that you actually get to choose what you believe, you can step into your new goals and into your new life. Some of my clients have identified the following limiting beliefs. Do any resonate with you? I can’t balance building a business, working at my 9-5, and raising my kids. I can’t pick up the phone to talk to people about my new business. I can’t do this because I’ve never done this before. I’m not “together” enough to be a leader. I don’t know enough people to reach out to. Do any of these sound painfully familiar? What’s the worst that could happen if you believed in your greatness instead of your deepest fears of inadequacy? What’s the worst that could happen if you believed in your greatness instead of your deepest fears of inadequacy? Let me tell you right now. You could fail. And as you may or may not know, I’m a huge fan of failure. Failure means you’re taking action. It means you’re finding hurdles to overcome. It means you’re several steps closer to reaching your goals. When you begin to believe in yourself and your capabilities rather than believe the gossip of your inner mean girl, you’ll start to see results. The kind of results that open the doors to your dream life. Are you ready to do the work? It takes questioning every wall of that corner you’ve put yourself into with those beliefs. And then? Smashing them down like a wrecking ball.